Find out how to create a handmade, global, eclectic Christmas tree with My Home Style. 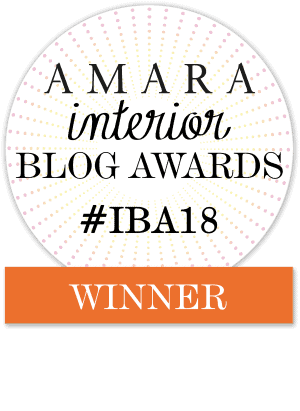 A fun blog hop series introducing various styles to inspire you! Greetings friend! 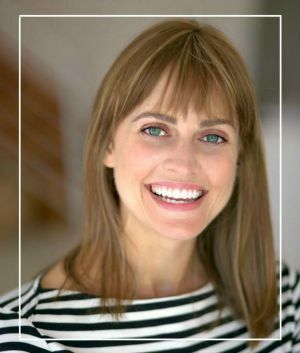 It’s time for the 3rd annual My Home Style blog hop Christmas tree edition hosted by my amazing and talented friend Casa Watkins Living. Lately we’ve been glued to the hip sharing A Very Global Christmas, 12 days of globally influenced DIYs and decorating tips. But today we are teaming up with many other awesome bloggers to show you various styles of Christmas trees throughout the week. 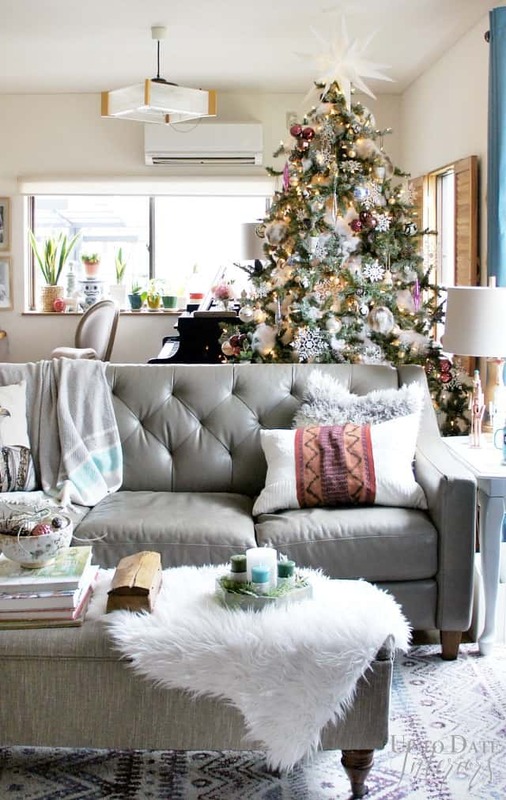 If you are coming from Casa Watkins Living’s Simple Boho Christmas Tree, welcome! We are a military family stationed in Japan and living in a traditional Japanese rental. 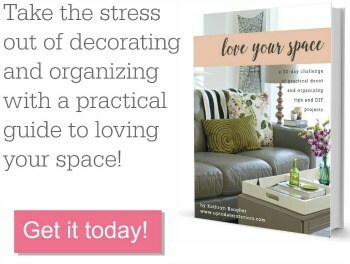 I love sharing rental friendly decorating ideas and DIYs in hopes it inspires you to love your space! Okay, let’s get down to business. Each of us has narrowed down our style to three words. I’ve used modern, contemporary classic, eclectic, glam, and others in the past but this year’s Christmas tree is all about handmade, global, and eclectic. These two styles go hand in hand since most of my DIY ornaments are inspired by different countries and cultures. 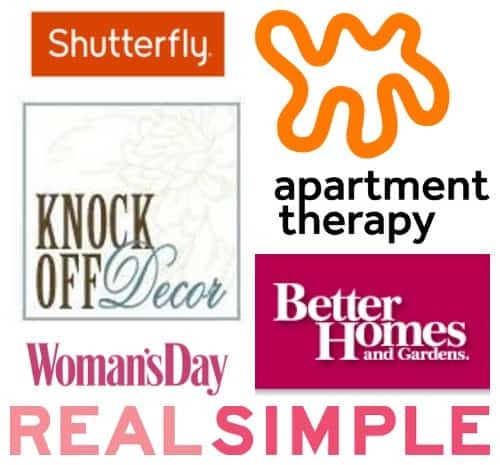 You can find links to the DIYs by clicking on the hyperlinks or photos below. and Nordic inspired mini hanging plant ornaments. You might have noticed a lot of dollar store snowflakes on my tree. Since our tree is older and branches are starting to look droopy, I filled in the gaps with snowflakes and cotton stuffing. 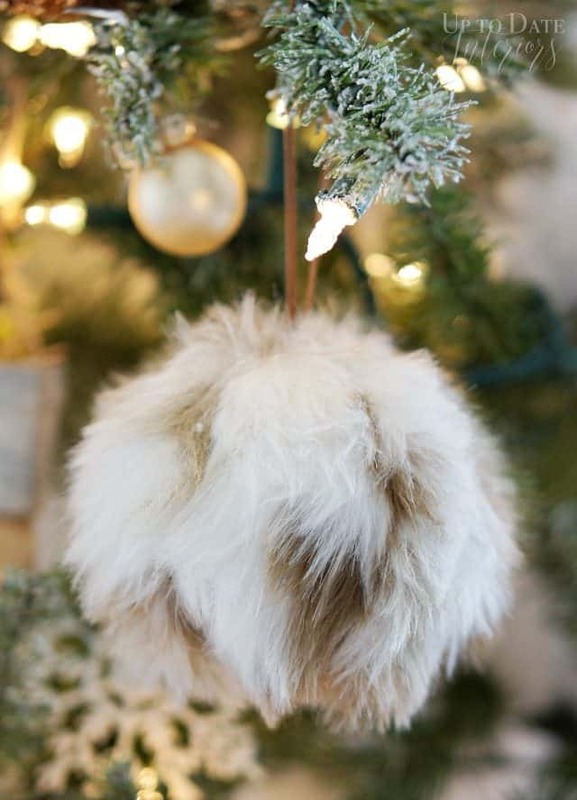 The soft textures goes well with natural ostrich feathers and fur ornaments. All the neutrals really help the global inspired DIY ornaments pop! I love how the groupings of 3 wine color ornaments look like berries. 😉 And the cherry on top? A gorgeous Moravian star pendant. The gift tags on our presents are another DIY from A Very Global Christmas! Can you believe we completed all our Christmas shopping before December 1st? « How to make beautiful nordic inspired Christmas ornaments quickly! It turned out so beautiful! Merry Christmas Kathy! Thanks babe! Merry Christmas to you too!! Gosh you are so so good! Truly the Queen of gorgeous doable craft projects. I just love your tree. i always love your style, kathy, and agree with julia! i always know i can come here for unique ideas, too- i can’t wait to check out those ornaments you shared today! Aw! You’re so sweet. That just made my day! This looks beautiful, as always! The colors truly pop amongst the neutrals. Love all the layers and textures. Kathy! I love all your homemade ornaments! You should try and sell those succulent ones! They are so cute! Love it! Thanks Jess! They are so easy to make! I love how you always include a touch of Japan in your decor, it creates the most perfect personal tree. Gorgeous. Kathy, Your tree is stunning! That star is so beautiful!! Merry Christmas! Thank you Julie! Merry Christmas to you! I love your 3 words and your tree is stunning! Love all your DIY holiday crafts!! So fun to be on this tour with you! This is a really pretty look! I love those snowflake ornaments. I’ll definitely be looking for some. I think my favorite are the chinoiserie ones! Kathy, you know I’m dying over the blue and white ornaments! Your tree is sooo gorgeous and I love how you DIY a lot of them. Beautiful tree! 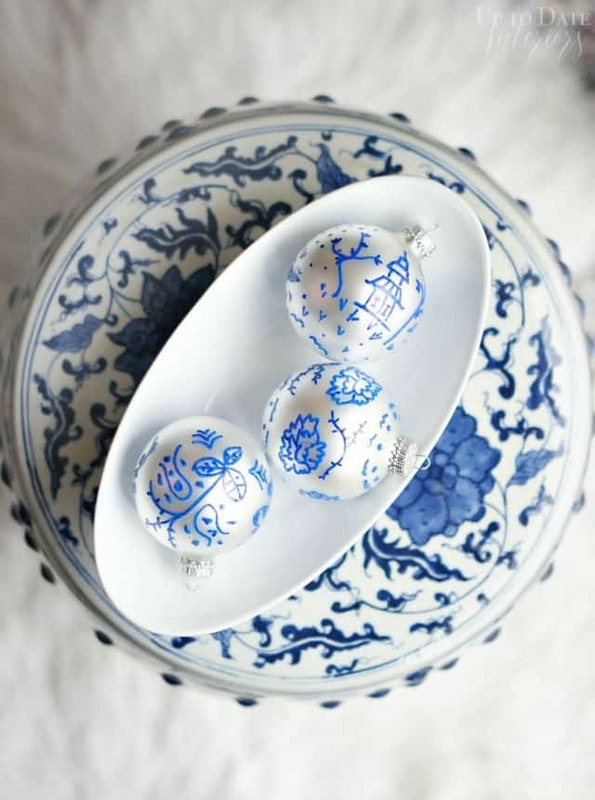 Love the idea of filling in sparse spots with cotton, and those little chinoiserie ornaments are totally charming! Thank you Gretchen!! Merry Christmas! I love your DIY ornaments. Super cute! People must come from all over to see your tree, because it is stunning! I love that little chinosierie ornament, and all the other ones you made are just beautiful. Happy holidays! Beautiful! 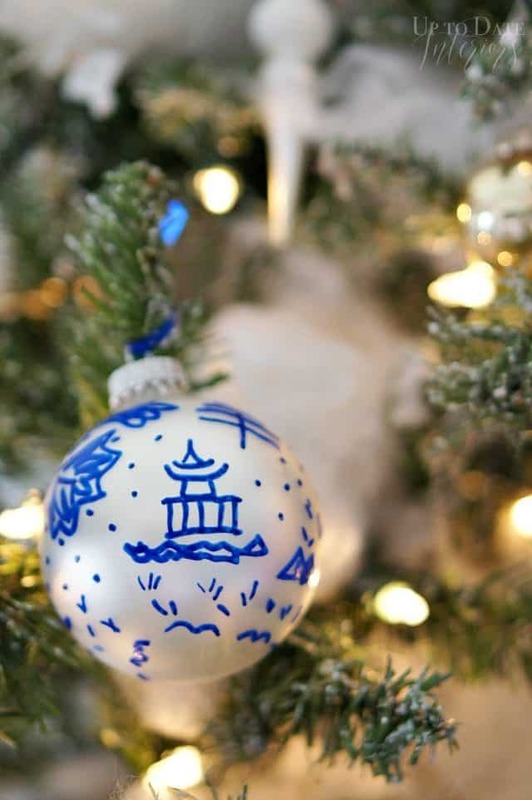 The Chinoiserie ornaments — so smart to make your own! And I love the tasseled plant ornaments, too! Absolutely gorgeous, Kathy! I love all your DIY ornaments (especially those brush stroke ones) and that stunning giant star on top! I love your global take on the Christmas tree! Your ornaments are just stunning!